Bosch was founded in Germany in 1886 by Robert Bosch. With over 130 years in consumer goods, mobility solutions, industrial, energy and building technology, Bosch makes it among the top multinational engineering and electronics company. Bosch boasts of its presence in more than 60 countries and over 400 subsidiaries worldwide. Bosch is committed to provide innovative solutions to meet their client’s needs with the aim of making users’ lives easier whenever they use their products. Bosch produces household appliances within their joint venture with BSH Bosch. Here, they use technology competence to create simple, yet quality designs that offer top-notch performance for everyday home use. In fact, BSH is among the leading home appliance manufacturers in Europe. 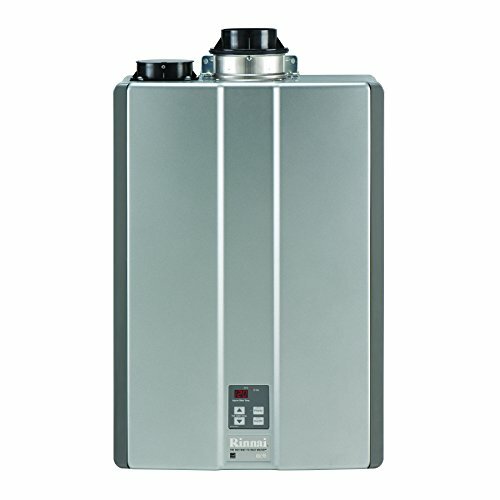 In this article, I will look at what makes tankless water heaters from Bosch the best for you. Bosch water heaters are well known all over the world for their great features and efficiency. 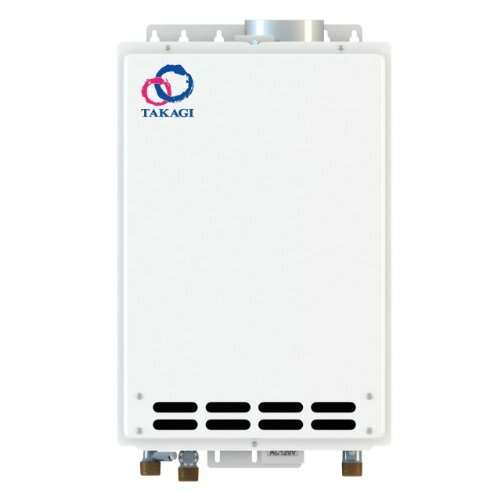 It is not hard to pick the best tankless water heater because they are all top-notch products. However, it is important to invest in a Bosch tankless heater that fits your needs and demands. Below are the top-rated Bosch tankless water heaters available on the market today. Reduce energy costs by up to 50% with the Bosch electric tankless water heater. 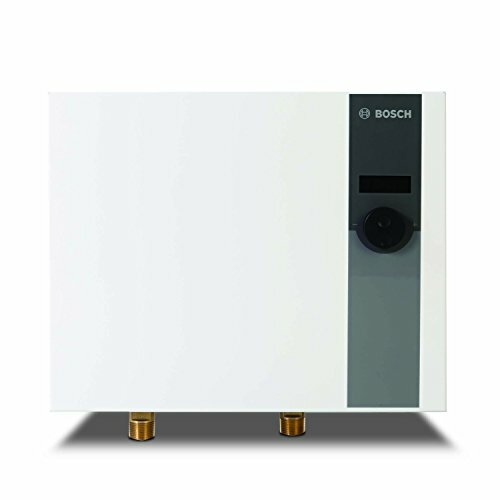 This 17.3kW electric tankless water heater from Bosch will provide hot water wherever needed at any time. Bosch uses electric power to heat water instantly and ensures you will never ever run out of hot/warm water by providing hot water for up to 3 uses at a time. This makes them less costly and more efficient compared to traditional tank water heaters.It is powerful and compact and can be stored almost anywhere in the home. The innovative water heater does not hold water in a storage tank for heating and therefore, saves on space which makes them ideal for small homes and office suites. You get to control the heat of water with this water heater, thanks to the electronic flow sensor and element modulation that control the output temperature. Usually, a tank heater would take up to 9 square feet of space stand-alone but this tankless water heater from Bosch is extremely compact. They can be installed outdoors or mounted on a wall. It offers 3 sizes to provide water to different home sizes. Unlike traditional tank heaters that corrode easily and lasts for only 12 years, Bosch tankless water heaters are designed to give you over 20 years of service. 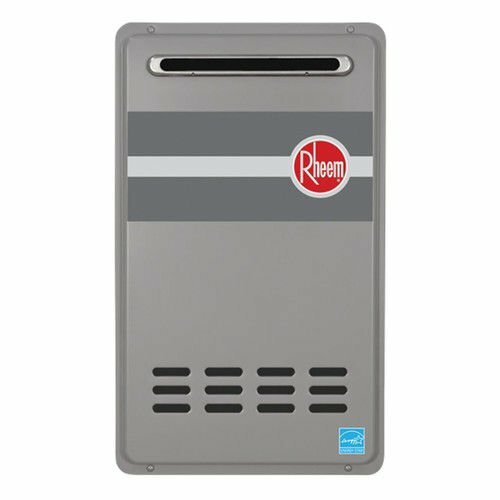 You will love the heater exchanger of this tankless heater as it is not only durable but also comes with a 5-year warranty, so you won’t have to worry in case something goes wrong. It also has an additional 2-year warranty on other components. The Bosch WH27 is designed with durability and performance in mind and features a filter screen on the water inlet, so you won’t have to worry about dust and other particles getting into the heater’s elements. It also features a cut-out system that kicks-in if the temperature goes too high by cutting the heat element power for extra safety.The compact and lightweight tankless electric water heater is easy to install and also extremely easy to operate. 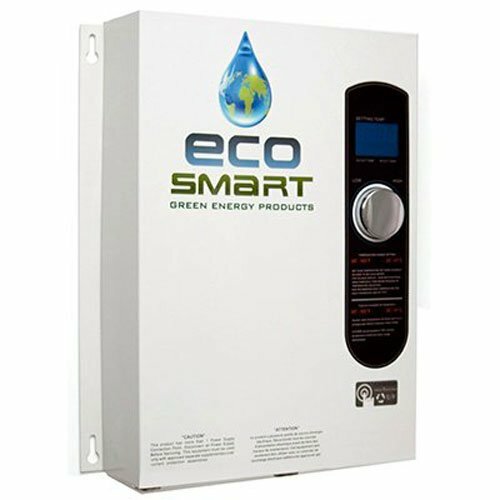 It works in a voltage range between 208 and 240 volts providing 17.25 kW power and a maximum of 3.3 gallons of water per hour which makes it ideal for homes with up to 3 showers. This unit is built to last for many years to come and comes with a 10-year limited warranty on the heat exchanger and a 2-year worry free warranty for other parts. If you are looking for a tankless water heater to run your busy household, look no further because the 940 ES from Bosch may be your ideal pick. With a maximum output of199,000 BTU, the unit requires only 0.5 gallons of water per minute to deliver the desired temperature output. The double-fan technology for temperature control and sealed combustion ensures the unit can be installed almost anywhere in your home. 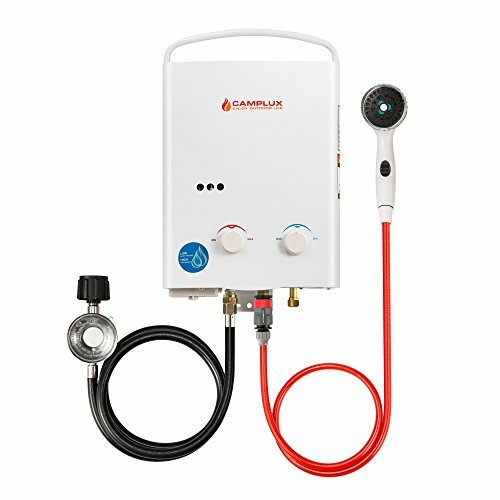 The non-condensing natural gas tankless water heater emits the gases, either horizontally through the sidewall or vertically through the roof using a 3-inch or 4-inch stainless steel pipe. This prevents the unit from failing and also reduces chances of carbon monoxide poisoning. It provides 9.4 gallons of hot water per minute at 25 degrees Fahrenheit rise and has 83% thermal efficiency. It also features an electronic ignition system and patented gas design for enhanced efficiency.It includes a water filter to protect the heater’s elements from dust and other particles. The filter can be easily accessed externally. It also has in-built freeze protection to protect your water heater in cold weather. You can expect this unit to provide over 20 years of service, thus you can be sure it will serve your home for years. In addition, it has a 15-year limited warranty in case something goes wrong with the heater. Although the unit is designed for both indoor and outdoor use, it requires a special kit in order to be installed outdoor to protect it from damage. The Bosch 830 ES requiresa maximum output of 175,000 BTU and provides reasonable hot water flow rate at varying water temperatures. It uses liquid propane as an energy source and can run up to 24 units for larger homes due to its cascading ability. Its ability to offer 8.3 gallons of hot water per minute at 35 degrees Fahrenheit rise makes this a great choice for busy homes and for light commercial uses. The temperature can be adjusted with ease either up or down from 100 degrees Fahrenheit to 140 degrees Fahrenheit to fit its various uses. When it comes to productivity, this unit features a reliable and durable automatic ignition system and a patented gas design for increased efficiency. Save on your household’s energy costs without compromising the continuous flow of hot water with this tankless water heater. You can choose to have the unit either in your house or outside with the help of an installation kit. No more worrying about your water heater during winter, thanks to the unit’s freeze-protection mechanism. The easy-to-access water filter will keep the heater’s elements from dust and other particles for enhanced durability.Your family can be sure of uninterrupted hot water supply for years since the water heater has been designed to last for long.The heat exchanger boasts of a 5-year limited warranty. The Bosch 830 ES will definitely make a great tankless water heater if you have a small business or medium-sized household that requires a limitless water supply. The Bosch Greentherm C1050ES is a condensing tankless water heater designed for residential and commercial use. The unit delivers very reasonable hot/warm water flow rates, and you can always be sure to enjoy between 6.8 and 10.7 gallons per minute of hot water, depending on the temperature you require. With an output 0f 199,000 BTU, the unit is able to deliver hot water ranging up to 140 degrees Fahrenheit. You also can operate 2 to 3 major applications in your home without hot water interruption. The condensing technology used in this unit is brilliant and ensures top-notch efficient. Moreover, it features low emissions that ensures no environmental danger and therefore, is safe for your family too. It also features a reliable and durable electronic ignition system and a patented burner design for increased efficiency. It can vent directly, either horizontally or vertically, through a 3-inch or 4-inch PVC pipe. Not to forget, this unit ensures close at least 94% efficiency and comes with an active bypass that adjusts the water temperature automatically as per your preference for constant temperature output. The heater can be installed both outdoor or indoor easily. It has built-in freeze protection system that will protect it during cold weather for durability. It is built to provide over 20 years of service that guarantee sprolonged use without affecting your energy costs. With this unit, you can enjoy it as a stand-alone operating system or enjoy recirculation applications by joining other solar thermal devices. It also comes with a 3 to 15 years limited warranty depending on the usage. The Bosch AE115PowerStar is a 17.25kW electric tankless water heater. With this unit, you can be sure of enjoying up to 2.6 gallons of hot water in one minute at 45 degrees Fahrenheit. It can only run a single application at a time and needs at least 150-amps electrical service to run. It provides over 90% thermal efficiency and is less suited for cold climates. The unit provides a nonstop supply of hot water up to a maximum temperature of 131 degrees Fahrenheit and features a flow sensor that ensures temperature stability.When it comes to safety, the Bosch AE115 has a current cut-out safety technology. The system trips in case the temperature goes too high cutting power to heat elements. The unit will remain off until you press the power button. Again, the external heat switch at the bottom of this unit allows you to control on the heater as you get to regulate the temperature of the water as per your preference. It is easy to mount and only takes up small space, thanks to its small size and lightweight. This unit has been built to be durable, so you won’t have to worry about replacement. It is also important to note that you need a large amount of power for the Bosch A115E to function and it is not advised for use with a varying incoming water supply. All in all, a well-built water heater that comes with a 10-year warranty on the heat exchanger and 1-year on other parts. With Bosch tankless water heater there will be no more frustrations of being sandwiched in cold water when showering or waiting for the water to heat for long. Water warms up as soon as you turn the knob, ensuring the water is always warm for use. You can be sure of a minimum of 0.5 gallons of water per minute at any given time with a Bosch tankless water heater. Bosch tankless water heaters feature element modulation system to control the water output temperature. This ensures you get constant water temperature when using it. On top of the endless hot water supply, it also uses flow sensors to give you control over the water temperature. This means you are the one to command the temperature of hot water you want to use. Bosch offers tankless water heaters with the best energy efficiency percentages in the market. In fact, BSH was able to reduce energy consumption by 25 million kWh between 2015 and 2016 so you can be sure of increased savings on energy costs with whatever tankless water heater they offer. They do not have storage tanks, hence do not produce standby energy losses. There is also no continuous cycle of heating and reheating water since you get hot water only when you need it. This cuts down on utility bills saving you money. Electric units achieve more efficiency compared to gas units offsetting high fuel process. With a Bosch tankless water heater, you can be sure of continuous hot water supply to your family over the years. You can be sure of over 20 years with Bosch tankless water heater due to the high-quality components used in its construction. It also features cut-out technology to protect the heater’s elements in case the temperature rises too high. The water filter in some of Bosch tankless water heaters keeps heating elements from dust and other particles. Bosch also includes the freeze protection mechanism in some of their tankless water heaters to keep them safe in cold weather. You do not need to worry about where to place your Bosch tankless water heater. They are designed to be compact enough to go almost anywhere in your home or office. Some units are small enough to fit under your bathroom or kitchen sink. According to the Bosch tankless water heaters manufacturer, all their heaters have a 20+ years life expectancy, and as such, they confidently give the heat exchangers a 15-year warranty while the other parts get 5 years. The inside elements and other features are all of high-quality in order to serve you for many years. Bosch offers a variety of water heaters for both residential and commercial use. 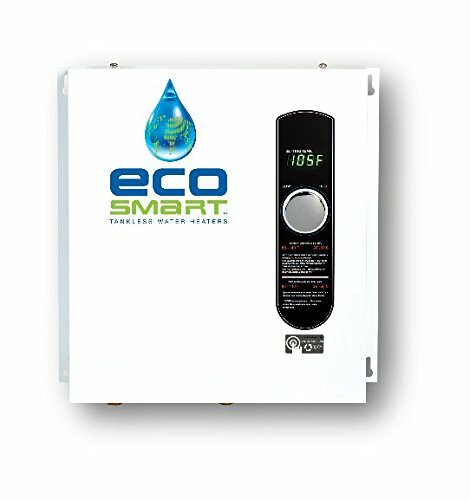 These tankless water heaters provide between 0.5 to 12 gallons of water per minute, giving you the option of selecting one that best fits your usage. Some will also offer single usage while others will provide hot water to different water sources. Some units can be cascaded up to 24 units. This is ideal for large-scale usages such as schools, hotels or commercial buildings as they are capable of offering flow rate of more than 200 gallons per minute. 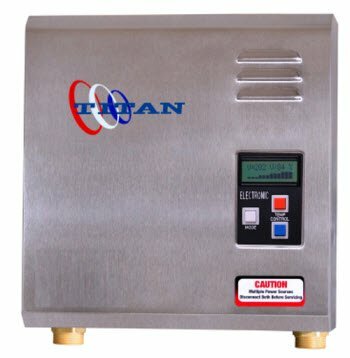 How big is the tankless water heater? Have this in mind based on where you want to place it. Bosch offers different sizes of tankless water heaters for your convenience. Most are compact to fit almost anywhere in your home or office suite. Also, have in mind that electric tankless water heaters are smaller in size compared to gas-fueled units. Bosch offers a range of both electric and gas-fueled tankless water heaters. As the name suggests, an electric tankless water heater uses electricity to heat water where a gas unit uses gas. Initially, purchasing a gas unit is more expensive than an electric unit. However, they are cost-effective in the long run.Gas tankless water heaters have more water supply and flow rate compared to electric units thus best for larger families. Bosch offers a variety of tankless water heaters with different installation methods. Some, such as point-of-use heaters do not require installation. It features a plug-and-play system that is ready for use by simply plugging it into a power outlet. They are also lightweight and compact, thus easy to mount on the wall indoors. Outdoor water heaters mostly require an installation kit. Noncondensing gas units are more expensive to install indoors because of the venting requirements. Have in mind that Bosch always offers installation guide during purchase so that the installation process is always an easy task no matter what type of water heater you buy. How much hot water does your household need? Bosch tankless water heaters have different water outputs. Ensure you pick a unit that can deliver your preferred gallons of water per minute. This will also be affected by where you live. Colder regions have lower GPM compared to warmer regions. Select a tankless water heater that is easy to maintain to save on maintenance costs. A gas unit requires more maintenance compared to electric units. The gas unit is more expensive as they need to be inspected annually and is more prone to mineral scale build up. For the electric unit, the filter should be cleaned as per need and unit flashed annually. Bosch always offers maintenance guidance on the user manual to make this easier for you. Last but not least, you have to set your budget. Although the rule of thumb is higher quality for higher price, Bosch manufactures top-rated units that feature durable design, so you won’t compromise on the quality of the tankless water heater even at a low price. It is important to remember that it is close to impossible to determine what is the best tankless water heater simply because we all live in different houses with different setups. Therefore, what may fit one individual does not work for his/her neighbor. Therefore, it is crucial that you understand what kind of tankless water heater you need before you make up your final buying decision. Bosch offers great variety of heaters that suit different needs and demands, so that if you decide to pick Bosch, you will most likely find your perfect match. It does not matter if you are looking for a unit to replace your old water heater tank, live in small space or your household contains old gas pipes, Bosch has you covered. My Bosch tankless water heater reviews cover everything you need to know before you fork out your hard-earned money. All the Bosch products above are manufactured with quality and durability in mind. Additionally, Bosch is known for their ability to design innovative non-electric ignition starts to ensure top-rated performance. Have in mind that with Bosch, you still have to rely on gas source for best possible performance. The Bosch tankless water heaters are also ideal for those who go with wind power or solar panel system with stand-by options for natural gas or propane. Above all, it is essential that everything is one the table regarding what tankless water heater to buy. For that reason, the review guide above contains all the information you require to make an informed buying decision. It can be a daunting task to look for your perfect match, but I sincerely hope that this guide will be your last stop before you invest in a Bosch tankless water heater.